Town of Coconut Grove is one of the oldest Miami’s suburbs. It appeared on the site of the lighthouse back in 1825, and 100 years later, the borders of Miami swallowed the town making it a part of the metropolis. Today, Coconut Grove is a town of celebration. It is famous for its numerous festivals, lively nightlife, which is especially appreciated by the young clerks and students of the neighboring University of Miami. It is connected with the center of Miami with the help of a subway line, so the inhabitants of the town have no problems with transport. 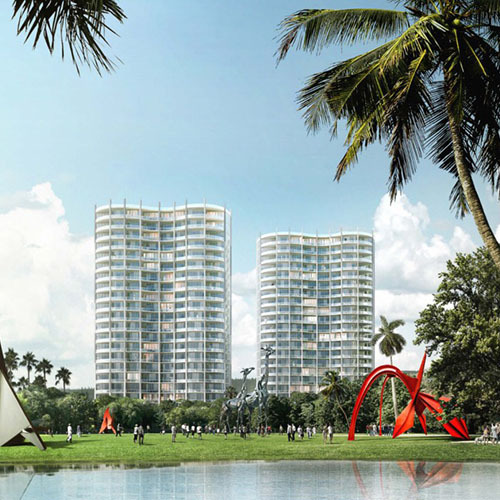 A beautiful view of Biscayne Bay makes new developments in Coconut Grove a desirable place for living.